Website Redesign, user experience enhancement, online booking. They needed to refresh their online presence, starting with a full redesign of their website. 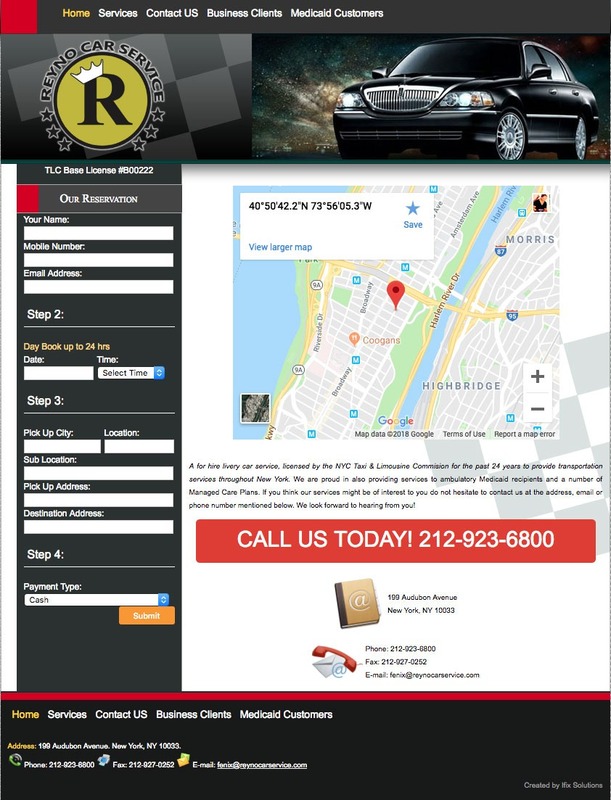 They contacted Responsive Media NYC to asses their old website, and generate a new approach, focused on the user experience. And of course, responsive. 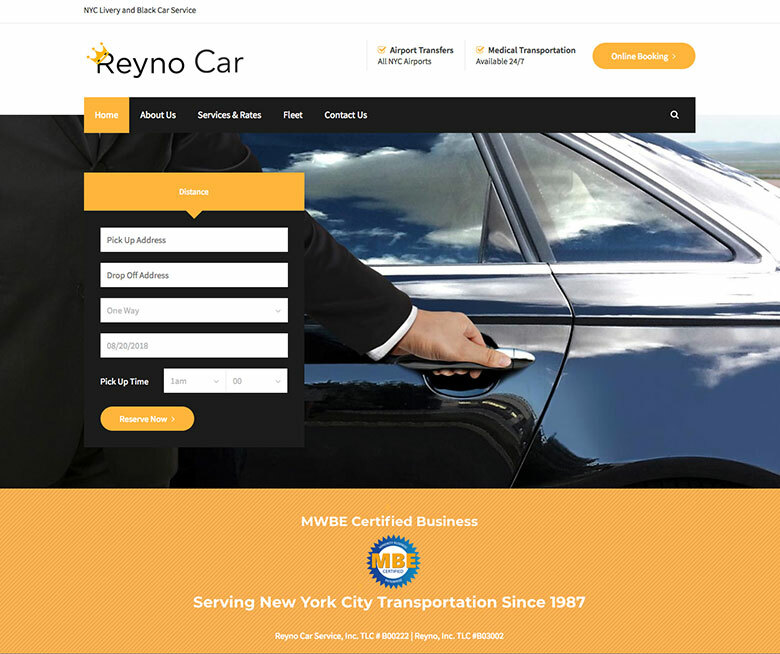 The website included key functionalities for Reyno Car Service, such as online booking, government certifications, and app integration. 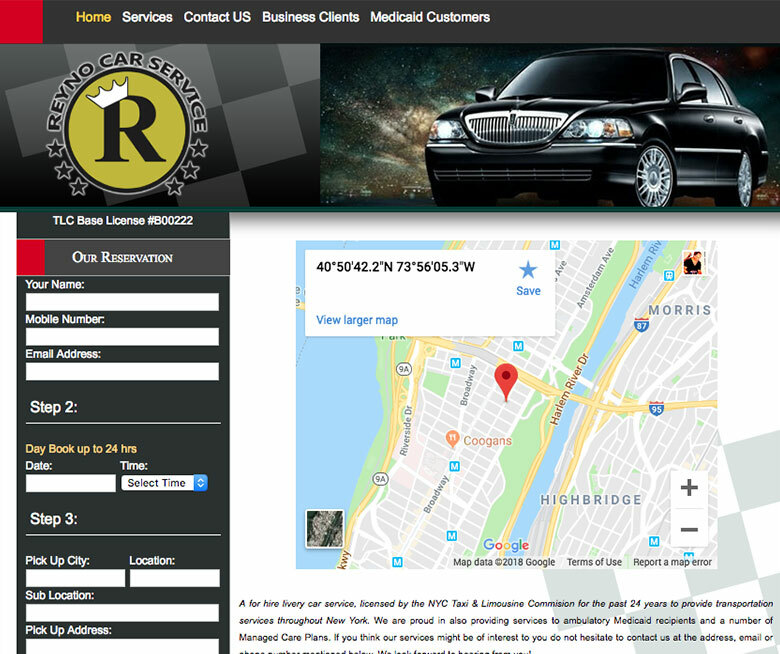 Thanks to Responsive Media NYC, Reyno Car Service can now focus on their business.